One of a select group of musicians to have mastered both the chromatic and diatonic harmonica, Clint began playing the harmonica as a teenager after seeing Muddy Waters perform at his hometown State Fair in Minneapolis, Minnesota. From pre-war blues to modern jazz, Clint has delved deep into the musical possibilities of the harmonica. A professional for over 30 years, Clint has lent his talents to movies, commercials, TV news themes, radio, theater, harmonica instruction books and countless CD projects for other artists. Two of his most notable recordings are the all original acoustic jazz CD Dream of the Serpent Dog (made in collaboration with Bobby E. and Jim Chenoweth) and Take Your Time Mr. Brown by the popular jug band-influenced group, The Sugar Kings (led by the highly respected folk musician Cam Waters). Both CD’s received rave reviews internationally. 2003 saw the release of a CD The Orchid Lounge by Bill Geezy and the Promise Breakers, rated as one of the top ten records of the year by the Minneapolis Star and Tribune. Playing multiple roles in the making of that album, Clint contributed harmonica, vocal harmonies, percussion, theremin and was co-producer. 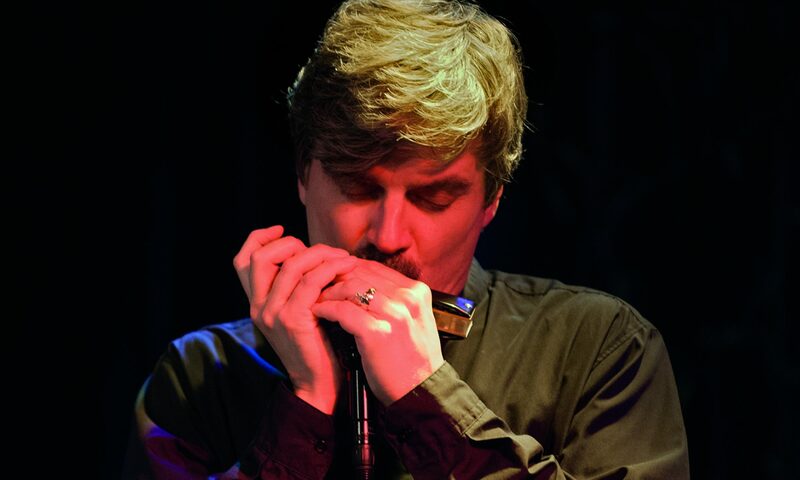 In 2007, he released his first CD as a band leader, On This Day, a live in-studio recording of jazz standards, which won him acclaim in the harmonica world. His reputation led him to be a featured performer at two international harmonica conventions, where he also conducted workshops. In 2009, he helped form the band East Side, a collaboration with renowned guitarist/composer Reynold Philipsek. They released their first CD of jazz originals to great reviews and radio play, performed in the prestigious J to Z concert series sponsored by the Twin Cities Jazz Society, and made regular appearances throughout Minnesota. Clint also performed regularly in concerts and festivals with folk blues legend Papa John Kolstad. They recorded two CD’s together, Alive and Well at The Ginkgo, a concert recorded live as a duo, and a CD with the Hot Club of East Lake Street, a swing group that was a fixture on the Minneapolis music scene. Before leaving Minneapolis in 2011, Clint was a founding member of the truly unique Exotik-a-GoGo, the Twin Cities only Exotica music band, which revived an unusual kind of tropical tiki music once popular in the ’50’s. They became the house band at Psycho Suzi’s, one of the most popular clubs in the Twin Cities and a must-stop tourist destination. Clint’s studies of a broad range of musical styles has earned him the reputation for adaptability and musical flexibility, making him a sought after studio session player. He has been an accompanist to many singer/songwriters in a wide range of genres, from Americana roots music to straight-ahead rock. Clint is a well respected music educator and was on the applied music staff at Minneapolis Community and Technical College, McNally Smith College of Music, The West Bank School of Music and The Homestead School of Folk Music. In New York City, he attended the Parsons/New School Jazz and Contemporary Music Program and studied with renowned classical harmonicist Robert Bonfiglio. Clint’s work has earned him a place in the Encyclopedia of the Harmonica. He also studies the guitar and has been known to play the theremin. Clint and his wife Gretchen have recently relocated to Pittsburgh, Pennsylvania.